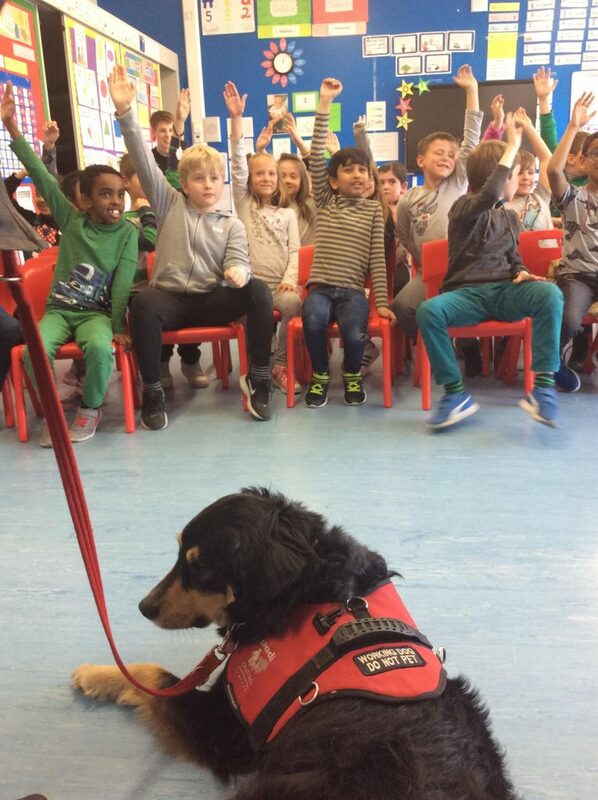 As part of our exploration of Autism Awareness Week, some classes had a visit from the autism awareness dog Parker! He visited the Holly, Hawthorn, Lime and Hazel classes. 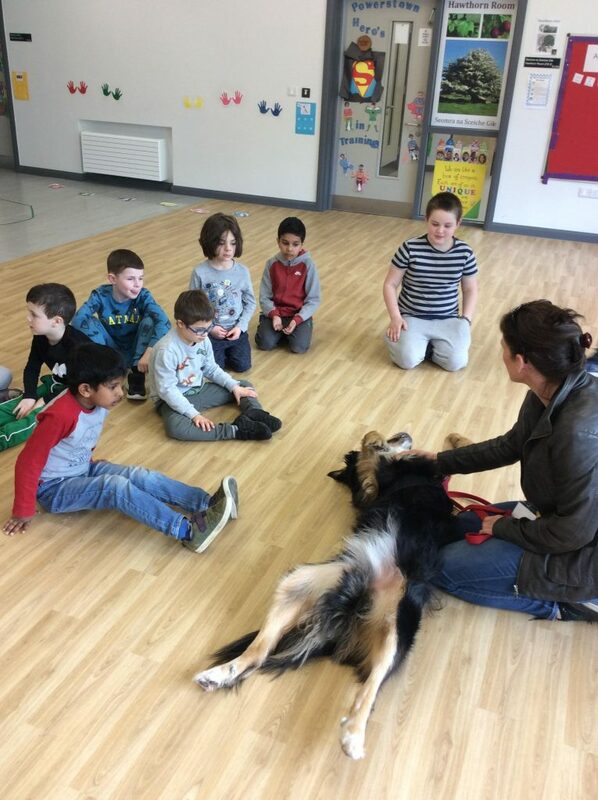 They heard all about how Parker helps children with autism to go to the shops, stay relaxed and calm, and to build confidence and independence. We also learned about how if you see one in public, you shouldn’t feed or pet the dog! It was a really informative and interesting insight into the lives of our friends with autism!